When will be Inside the Tube: Going Underground next episode air date? Is Inside the Tube: Going Underground renewed or cancelled? Where to countdown Inside the Tube: Going Underground air dates? 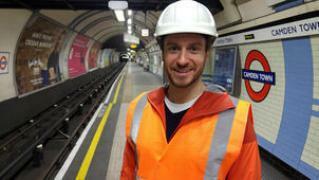 Is Inside the Tube: Going Underground worth watching? Granted special access to the secret workings of the Tube, and with the aid of the London Underground staff who know it best, engineer Rob Bell discovers the fascinating hidden history of how London's iconic metro was built. The Northern Line was the world's first deep Tube line, running 36 miles and connecting the north and south of the Thames. Rob reveals the obstacles encountered and the innovations pioneered by the Victorian engineers who built it. Engineer Rob Bell unearths the history of the Central Line, learning that Bank's platforms are curved to avoid the Bank of England's gold vaults, and he investigates the most tragic night in the Tube's history. At 46 miles, the Central Line is the longest of all tube lines, connecting east with west and transporting 260 million passengers a year making it the busiest line in Britain. London's Metropolitan Line was the world's first underground railway, and is still used by 70 million passengers each year. Rob Bell discovers how the capital's overcrowding problem was the necessity that prompted this hitherto unthinkable transport innovation. He fulfills his childhood dream of riding one of the original underground steam trains. The Piccadilly Line is famed for its glamorous stops, which include Knightsbridge and the West End, but Rob Bell discovers how it also played an important part in saving the tube from bankruptcy and changing public transport as we know it. He also explores an abandoned station beneath Piccadilly Circus. 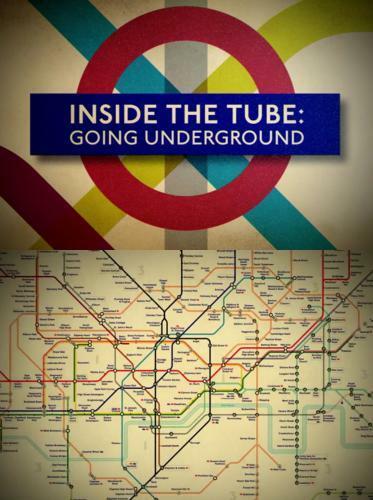 Inside the Tube: Going Underground next episode air date provides TVMaze for you. EpisoDate.com is your TV show guide to Countdown Inside the Tube: Going Underground Episode Air Dates and to stay in touch with Inside the Tube: Going Underground next episode Air Date and your others favorite TV Shows. Add the shows you like to a "Watchlist" and let the site take it from there.